2016 HYUNDAI ELANTRA SE! GOOD MILES! GREAT CAR! LOT'S OF OPTIONS! GAS SQUEEZER! REMAINING FACTORY WARRANTY! CALL OR COME IN TODAY FOR A TEST DRIVE! OUR VEHICLES ARE INSPECTED AND MOST COME WITH A FREE WARRANTY. WE HAVE BEEN IN BUSINESS IN BOONE COUNTY, LEBANON, INDIANA SINCE 1998. WE ARE A TOP RATED DEALER THAT TAKES PRIDE IN BEING TRANSPARENT AND HONEST IN ALL OUR TRANSACTIONS, WE HAVE FINANCING AVAILABLE FOR ANY AND ALL CREDIT NEEDS. NO CREDIT GOOD CREDIT BAD CREDIT, WE CAN HELP. 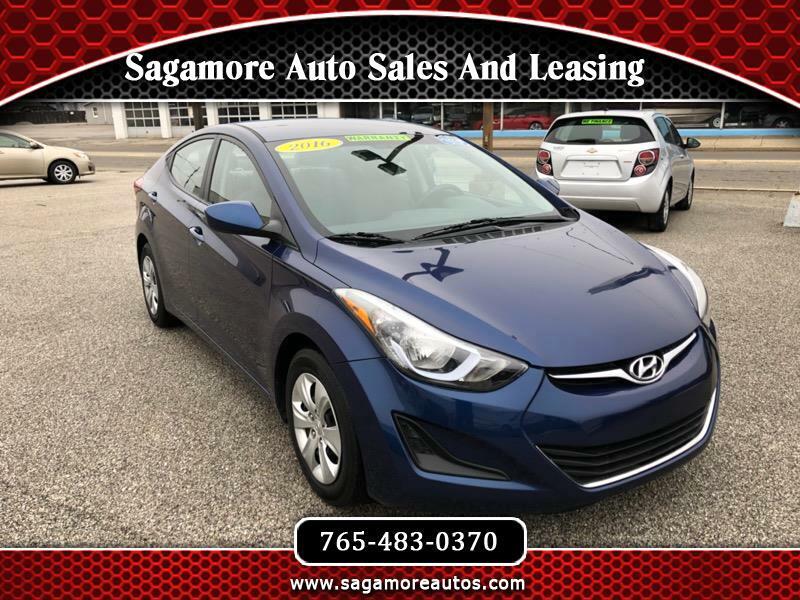 Visit Sagamore Auto Sales And Leasing online at www.sagamoreautos.com to see more pictures of this vehicle or call us at 765-483-0370 today to schedule your test drive. Message: Thought you might be interested in this 2016 Hyundai Elantra.